Catherine Rayner has an unfailing talent for making every single animal that she paints – large or small – a wonderfully unique character. Here she has, I think, excelled in her portrayal of Louie whose zest for life and pongyness leap off the page. 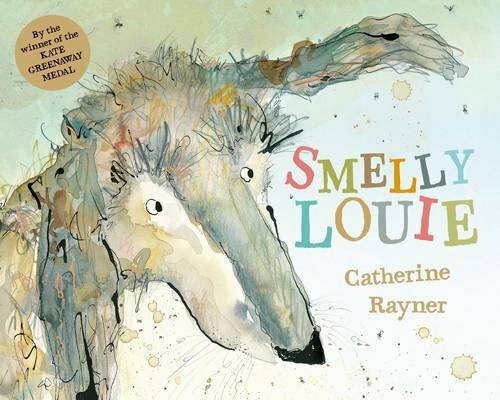 Rayner paints so eloquently one can almost hear Louie’s splash and the explosion of the ducks as they take off in panic from the pond, and touch and smell the malodorous miasma emanating from the canine hero’s filthy tangled coat.